This course covers two topic areas for CFA Level 1 – Corporate finance and Alternative Investment, covering 11% of the CFA curriculum. 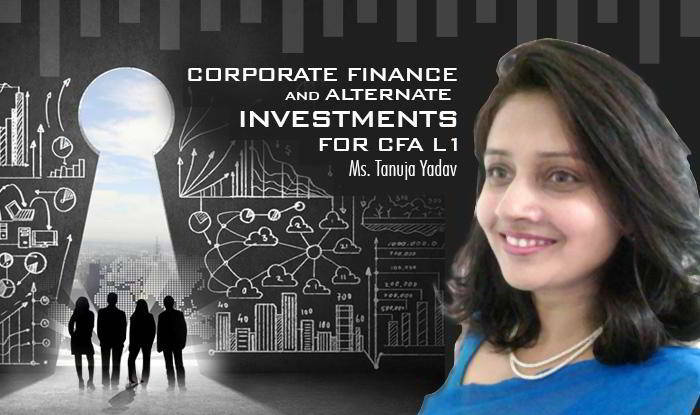 With Corporate Finance done, the student will be prepared for 7% of the CFA L1 course in the shortest possible time, I am extending this delightful experience further by providing the study session for Alternative Investments free with Corporate Finance course so that an additional 4% of the course prep is completed! This preparatory course is helpful for people who are looking forward to give CFA level 1 exam. Two of the important topics like Corporate Finance and Alternative Investments are explained in this course in great detail with the help of relevant examples and references. Moreover, Alternate Investment is a very interesting topic which will explain various modes of investments apart from traditional debt and equity.